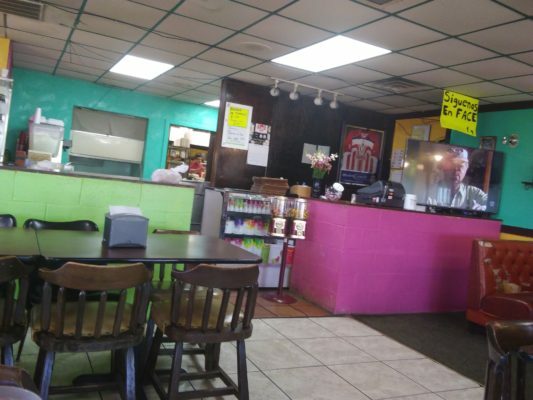 Have you tried to get a buena bowl of pozole in Oklahoma City lately? Sure, you might be able to find it at a few joints around town, devoutly microwaved with a thick layer of greasy escoria across the top, but to sample a magically crafted pot of this generationally enhanced brew, especially one made with such cultural gravitas, it can be quite hard to find la cosa real. A sacred dish since time immemorial, when my powerful ancestors ruled this thriving land of Nican Tlaca, the caldo pozole has been traced back to the bloody era of total Aztec rule, when after the all-important sacrifices they used the still-steaming remains of human prisoners as the delectable slabs of carne floating in the broth. 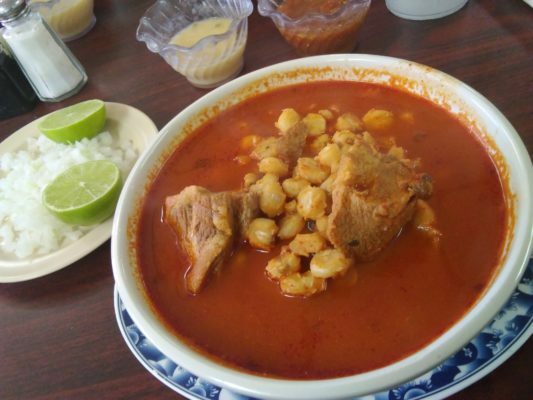 Now, however, thanks to that hijo de puta colonialism, the hungry devouring of leftover man-meat is long a thing of the past, since replaced with beef or pork, turning pozole into what it’s now better known by most as—a birthday or holiday sopa that even children would like seconds or thirds of. 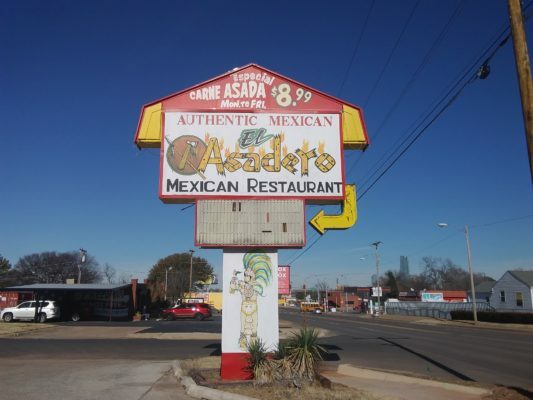 Thankfully, one of the best places—if not the best place—in town known for (secretly) serving this long-celebrated dish is El Asadero, 2703 S. Western. 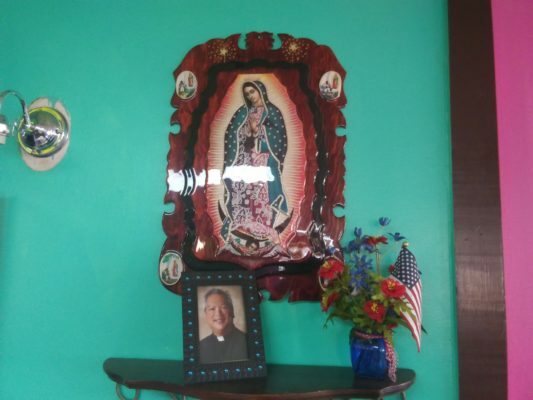 A favorite eatery on the Southside for about a decade or so, they’ve consistently earned high marks with a great selection of mojarras and mariscos, among other treats and threats. But don’t go looking for pozole on the menu, not even among the other soups such as 7 Mares and Vuelve a la Vida. No, the Pozole ($9.99) is something you have to ask for by name and with buena razón: limited quantities are made in the morning and tend to go by lunch; the crimson come de sangre broth barely hides the necessity of hominy and pork, the various spices stirring like a murderous hurricane with each turn of the silvery spoon. Be prepared for a fifteen or so minute wait—la buena comida lleva tiempo, ese. The kernels of blanco hominy were beyond gordo, these fat dollops of maize bursting with a singularly corn-lite taste that felt like it was just created to deviously mingle with the thick cut of meaty pork bone. Resting in the red mélange of spices and dreams, the unsupported visions of being a mighty warrior of La Raza, my stone knife carving deep into the chest of that criminal’s cadaver, was made truer and truer with each draining sip. Towards the final few spoonfuls of the pozole however, I looked over to my right and saw the image of La Virgen María and a priest that I know from somewhere on the wall, both warmfully praying for me and my archaic gluttony; as a beam of holy light shone down on the empty bowl, my guerrero Azteca self-image had been long shredded in guilt—instead, I am now the repentant borracho, drunk on yet another helping this soul-saving elixir. Cómpralo ya! This soup is different from green chile soup that is often served in New Mexico?? There are green and red varieties. Yes, posole is different from green chile stew, as the stew does not contain hominy. There are many variations on both of these dishes, but it’s great to know that you can get a good bowl of posole in OKC. Now I would like to know where to get a good bowl of green chile stew here, other than from my own kitchen. Does the Green Chile Kitchen in Yukon offer it? Being a Santa Fe cuisine freaks, the wife and I have ventured out to Yukon a couple of times. It’s okay, nothing to write home about.. I will say the queso is pretty bomb.